Imagine connecting with a loved one who has passed on, and getting a reading from a world class Psychic Medium who can look into your world. 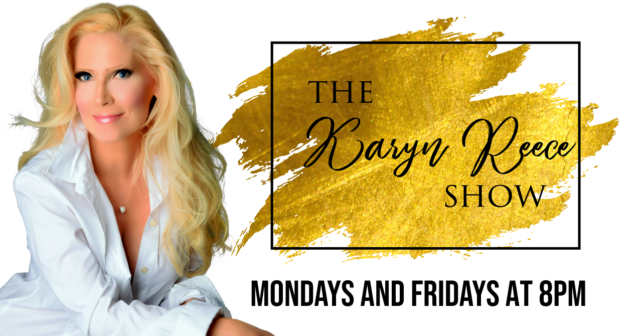 Watch “The Karyn Reece Show” Friday nights at 8p.m. (with an encore the following Monday at 8p.m.) on WBBZ-TV, Your Hometown MeTV Station. Purchase tickets to the next TV tapings here on the website. The next taping date is not confirmed yet, but when it is, you can purchase your tickets online for $15! Gifted since birth, Karyn Reece is an international Psychic Medium and Psychic Artist who will captivate our studio and viewing audience with her amazing abilities. Karyn has appeared on local and national television programs aired on Lifetime, TLC, and the Discovery Channel. Karyn was last seen on WBBZ-TV during the 2013 season in “Secrets From Beyond.” In her new show, Karyn also welcomes special guests that will reveal spellbinding tips that can improve your way of life! The program is recorded at the WBBZ-TV studio inside the Eastern Hills Mall before a live studio audience. Those interested in purchasing tickets can click the link found at the right for taping dates, times, and ticket prices. Audience members get a chance to ask questions of Karyn and her special guests. Selection for psychic readings will be made at random, from those in attendance who wish to be considered. Play WNY's Trivia Game Show "Bragging Rights!" Tues & Wed. Nights at 8p.m.